and kicked the hot desert sand. “This is not the place for me,” he snorted. Calpepper the camel is fed up with trudging behind the plodding camel train. He is sure there are much more exciting places he’d rather be. So one day he leaves the desert behind, and catches a bus, in search of an exciting place. But every place he visits is not quite camely enough: the ski slopes are slippery and cold, the city is too jostly and the waves at the beach are just a bit too high. Finally, Calpepper realises that only home is camely enough for him. 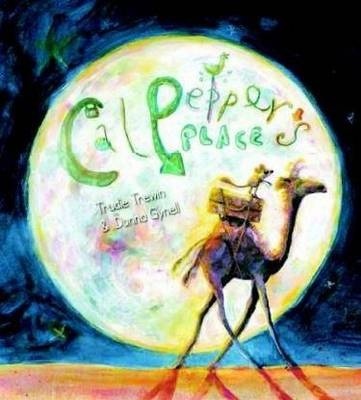 Calpepper’s Place is a gorgeous picture book about camels, home and belonging. Young readers will delight in the humour of Calpepper’s adventures, with text which plays with sound and is patterned in a way encouraging children to predict, and illustrations which perfectly capture the movement and humour of the tale. The sort of book which will will be happily read over and over by parents and carers, and enjoyed by young readers every time. Letting the day waste away. Square Eyes features Panda with square eyes and his friend Bee. Panda is always watching television and doing little else. Bee would like him to do some other things and sets about enticing him away from the screen. Bee and other friends show the fun that can be had if the TV is turned off. Alternatives offered include scooter-riding, imagining, music, invention and more. Finally, Bee and friends convince Panda to leave his couch and have some fun with them. Illustrations are humourous and colourful and full of detail for young readers to explore. There is a CD with the author singing ‘Square Eyes’. Square Eyes is a story about the limitations of a life linked to screen. Although this picture book depicts only the TV, it’s clear from the dedications of both author and illustrator that it is intended to refer to all manner of screens. Luckily Panda has determined friends who want to show him other ways to have fun. The CD performance by the author, Craig Smith, offers readers an opportunity to read along with the rhythm of the song and it won’t be long before the catchy tune will be ‘reading’ all on their own. A fun read/singalong for pre- and early-schoolers. Every person in the entire land was crying. … They were all crying because the Queen had died. It’s always very sad when a queen dies, but this time it was especially sad because the Queen had been very good and very just and very beautiful, and all the people loved her very much. What do you do when there is no direct relative to take the place of the Queen? You appoint her best friend. 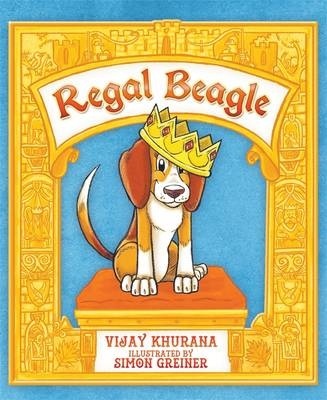 And in this case, her best friend is Lucy, the royal beagle. But what if you thought you were more qualified to be leader of the country than Lucy? You might just be a bit put out and perhaps even try to show others why a beagle isn’t the best choice as leader. Add in some fleas, some advisors and you have a recipe for a dastardly plot. 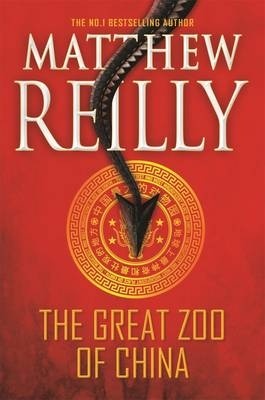 Or a royal mystery interlaced with humour and adventure. Or both. There are black and white illustrations throughout, framed as if windows into the action. Regal Beagle is delightfully absurd, almost vaudevillian in its humour. The goodies are very good, the baddies are dreadful and the people of this kingdom (Queendom?) are easily led. Lucy is not sure she wants to be queen, but when there seems no other option, she tries very hard to be her best. She is humble and gentle, trusting and fallible. Fortunately, as well as the evil Lord Runcible, there are others in the royal palace prepared to support and advise her. 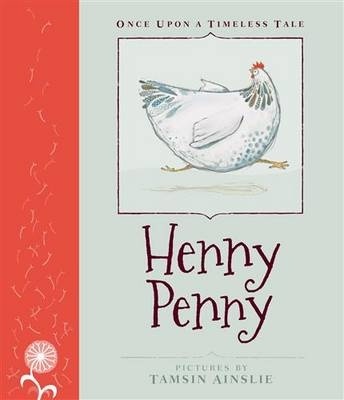 Newly independent readers will enjoy this illustrated chapter book. Recommended for junior primary readers. Well, we most certainly do. This is Charlie Boo, after all. The bravest, cleverest butler in the entire universe – trained in martial arts in Rangoon and hat-frisbeeing in Haiti, and an endless source of chocolate airplanes that appear, thrillingly, at unexpected moments. Which could be now. In fact, Scruff’s got his tongue out in readiness. Four green tree snakes are unwrapped quick-smart from four necks. Not missing out on this one. Four green tree snakes are plopped on the lion skin in front of us. Kick, Scruff, Bert and Pin are four children accustomed to managing – sort of – on their own. They are living with their eccentric uncle Basti in his house in post-WWII London. Their father, thought lost, is found, but is very unwell. And for the first time in a long time, there’s a whiff of hope that their mother is still alive. And if there’s even a hope, the Caddy’s are not going to ignore it. So as their father is sent off to get better, they slip away to follow the scant clues they had. But the clues lead them far away and into the clutches of Lady Adora, owner of the Icicle Illuminarium. She has plans of her own, and it seems that their arrival may just bring all her plans together. But she has of course reckoned without the ingenuity and bravery of these four young Australians and their friends. The Icicle Illuminarium follows ‘The Kensington Reptilarium’ which brought the four Caddy children to London. They may have a new home for now, but there is still much of the wild Australian outback in each and all of them. Caddy is reluctant substitute mother to the other three, a mantle she wears heavily, and which comes with many challenges particularly from Scruff and Bert. But she’s trying. And at the bottom of all her doubt and bossiness, is a fierce love and protectiveness for her siblings. These are wild children, unbound by convention. This is a story about family, in myriad formations. The Icicle Illuminarium is told from Kick’s perspective with all the fallibility of the first person narrative. Like ‘The Kensington Reptilarium’, The Icicle Illuminarium is a wild romp through adventure and danger, complete with red herrings, ghostly boys, madness and dastardly plots. Recommended for mid- to upper-primary readers. The internet is a bit like a puddle. It can be lots of fun and very useful. But…the internet can also be deeper than it looks. Few children are unaware of the fun that can be had on the internet, using computers, tablets and even phones. But for parents, teachers and carers, explaining the pitfalls of the online world can be difficult, as can setting and enforcing boundaries. By using the analogy of a puddle, The Internet is Like a Puddle looks at the uses of the internet as well as its pitfalls, in a way aimed at engaging young readers. Just as a puddle can be a fun place to play, so can the internet provide entertainment and education. But, the book goes on to explain, just as we can’t always see what’s under the surface of a puddle, so the internet has hidden depths and workings. Sometimes adult help is needed to get out of difficulty, or to avoid it, and turning off the internet and doing other things is important, too. In the end, used safely and with guidance, the internet puddle can be wonderful fun. 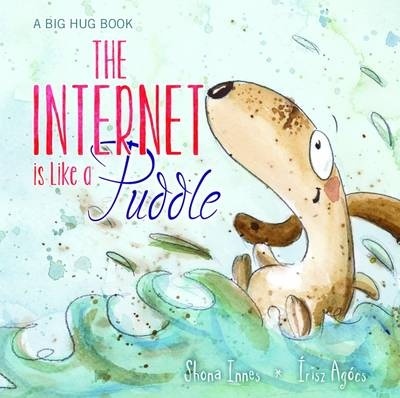 A Big Hug book, The Internet is Like a Puddle will serve as a useful classroom tool and also be helpful at home, in both cases opening up discussion about safe usage, and rules for internet sessions. The use of the analogy helps to explain the pitfalls – and the pelasures – in a kid-accessible way. Back of book notes aimed at parents, from author and psychologist Shona Innes, add to the usefulness of the book. With gorgeous watercolour illustrations, The Internet is Like a Puddle will suit children in their early years of schooling. Heigh-ho, the merry-o, the farmer in the dell. A worn-hat, scarf-wearing, banjo-playing dog sets the beat for ‘The Farmer in the Dell’ and one by one from farmer to cheese, the dance begins. The farmer arrives on his tractor and starts the dancing, which expands to include, wife, child, nurse, cow and other animals. Finally the mouse takes the cheese, before the banjo-playing dog finishes up with a bow. The text wanders about the page with the dancers with the chorus words hightlighted. Illustrations show each of the participants joining in, with facial expressions suggesting that there are some pairings that could be a little troublesome. Full colour pastel pages allow the action to happen in the ‘spotlight’ with backgrounds just hinted at. The Topp Twins CD includes an extended version of the song/story. A music score is on the final page. 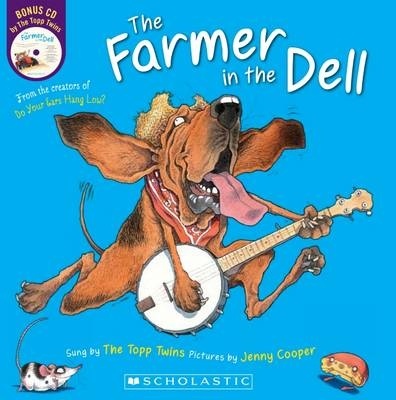 The Farmer in the Dell is part of a series from Scholastic featuring well-known stories, songs and rhymes and which include CDs. They are wild and exuberant and a great way to introduce old favourites to a new audience. In a classroom, they offer an opportunity to connect picture books to song and movement. In fact, it’s almost impossible to sit still while reading. The illustrations depict a farming family. The ‘nurse’, who in the original singings of the song was probably a nanny, is now in a white uniform with a stethoscope and dressing scissors. Great fun for pre- and early-schoolers. Get your dancing shoes on. ‘Tell the story to its end,’ says Eren with a grin. His yellow eyes are glowing like embers in the night. I nod. He’s huge. There’s no attic now, no window, no lights. Just Eren. Eren, and nothing after that. Oli has come to live in the country, with his mother. They are staying with Oli’s uncle and aunt’s house, which was once his mother’s childhood home. Oli’s world has been ripped away from him and no one’s telling why, or when Dad will be coming. In this house in this village, Oli has a secret of his own. Eren. Eren lives in the attic and is hungry, insatiable for stories. Even as Oli makes new friends in the village, he is most drawn to the attic, to the enigmatic and other-worldly Eren and to stories. 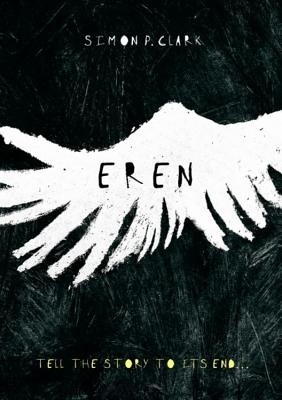 Eren is a beautiful book, a small jacketed hardback with hints of the darkness within. It is a story of loss and learning, of childhood passing and the cost of secrets. Oli appears to have had a charmed childhood in London and he has a great deal of adjustment to make in this new life, even if it is only a temporary one. He has a combination of naiveté and world-weariness that sees him stumble through his new-old world. Eren, in the attic, draws him in, exploits his curiosity, gathers his stories. An elegant allegory. Eren is immediately engaging, a novel for a sophisticated reader happy to give a story time to infuse.